The Holderness Coast FLAG (Fisheries Local Action Group) are working with Sewerby Hall and Gardens to feature shellfish and seafood cookery demonstrations by Alison Johnson of the Yorkshire Wolds Cookery School, which will run throughout the day, together with other organisations promoting the local seafood industry. The demonstrations will be by Ali Bilton of the Yorkshire Wolds Cookery School together with Martyn Shaw of the Coach House Bistro and David Nowell of Tickton Grange. 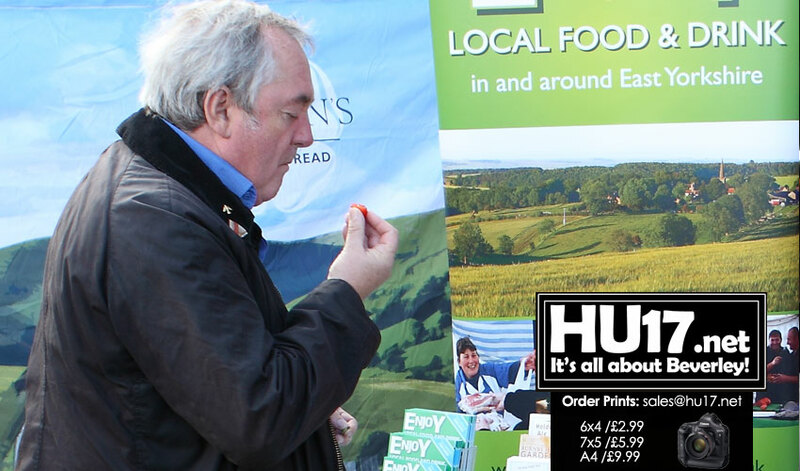 An impressive total of 40 stalls at the Fair will include a medieval tavern with real ale; a range of smoked foods; artisan pork pies; homemade deli items; Greek street food; Yorkshire pudding wraps; a beekeeper and honey products; pizza and prosecco; Russian food; and a range of local seafood, including the Whitby scampi van, and a 16 foot pebble (fishing boat). There will be a butcher, and a baker, selling burgers, sausages, bagels, and cup cakes, and there will also be a chocolatier and a range of coffees and teas for sale, plus a hog roast. In addition, visitors will be able to purchase preserves and pies. Shellfish from the Holderness Coast will also be available to purchase on the day. The event will also feature a range of organisations such as Yorkshire Wildlife Trust, the RSPB, Holderness Fishing Industry Group , and North Eastern Inshore Fisheries Conservation Authority, who will provide information on our living seas, sustainable fishing and conservation. Experts will be available throughout the day to answer questions on our sea life, which will be on display, including live local shellfish. The event aims to raise awareness of the local fishing industry and its communities. It is part of the six-week summer activity programme at Sewerby Hall and Gardens, and the Food Festival Day will also feature a Rusticus adventure, ‘Wildlife Warning’; swing boats; donkey rides; music; and fruit kebabs in the zoo. Entry for visitors to the event will cost: £8 for adults; £5.90 for children; and £26 for a family (two adults and two children).